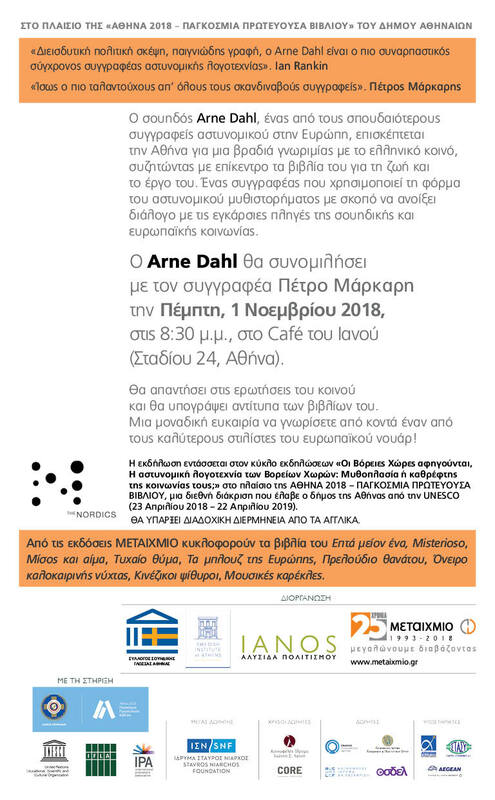 The two events are organized with the support of “Athens 2018 World Book Capital” City of Athens, Metaixmio Editions and The Swedish Language Association in Athens. 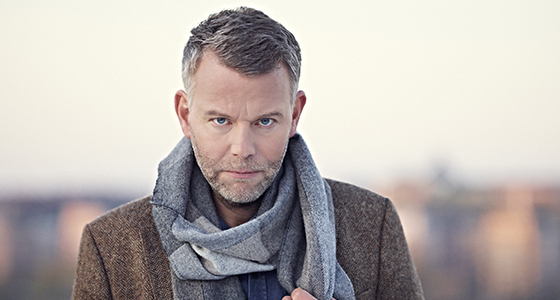 Arne Dahl will also be present at the round table discussion Nordic Crime Fiction. A look into the Nordic Society? where experts from Norway, Sweden, Finland and Denmark will discuss crime literature and the Nordic societies. 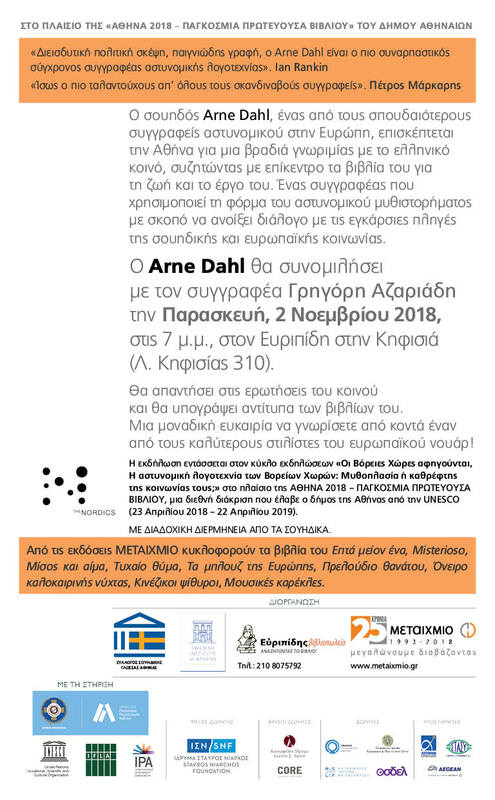 The event will take place at the Goethe institute (Omirou 14-16, Athens) on Wednesday, 31 October, 2018 at 7 pm. These events are part of the The Nordic Narrative in Athens. See invitations for all three events below. Invitation Nordic Crime Fiction. A look into the Nordic Society?